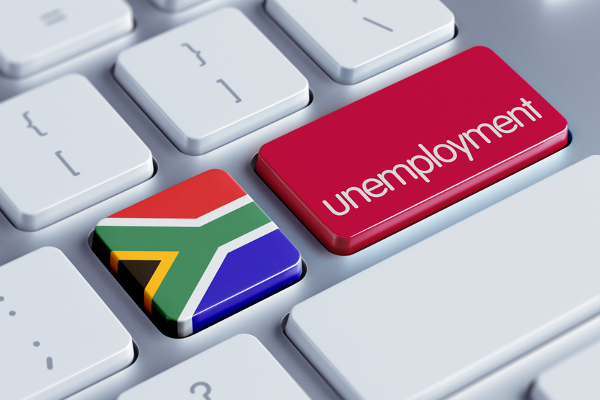 Unemployment in South Africa is now higher than it was at the end of apartheid, with almost one-third of the labor force out of work or discouraged. This is according to a new report by the World Bank South Africa economic update: jobs and South Africa’s changing demographics, which says that the education system appears to have left the young unemployed ill equipped for a labor market that demands more skills. At a time when almost half the population is under 25, unemployment among the young (15–24) is almost 50%, double the national rate. 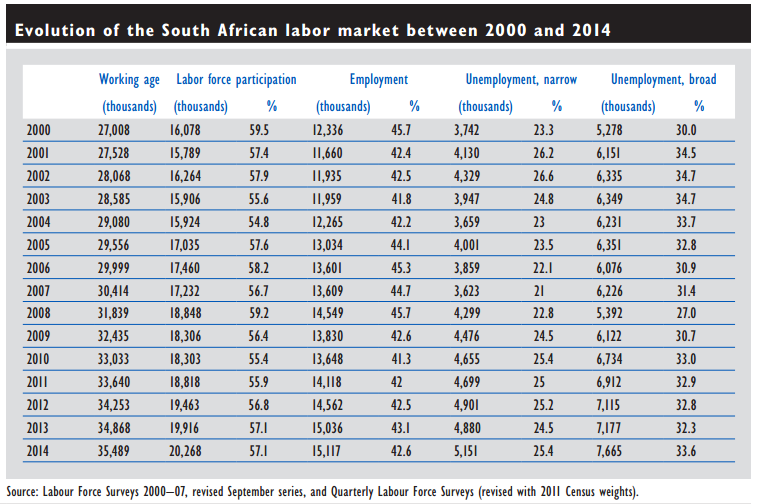 According to World Bank, about 60%of the unemployed have not even achieved the matric qualification. The report says that the country is in its demographic window of opportunity and will remain there for around 50 more years. Since 1994, its working-age population (15–64 years) has increased by 11 million. In the next 50 years, it will grow by another 9 million, peaking in 2065 at about 43.8 million. The next 20 years alone will see an average net increase in the working-age population of about 280,000 people per year, although this does not necessarily translate one-for-one into an increase in the labor force, given that many young people remain in education beyond their 15th birthday. peak will occur in 2045, when it will reach 68.3% of the population and there will be 2.1 working adults to support each young and old dependent. Since 2000 however, the working-age population expanded by 8.5 million people, but jobs grew by only 2.8 million, the World Bank said. Some 7.7 million people—about 22% of the working-age population—were unemployed or had stopped looking for work by 2014. The unemployment rate (on the narrow measure) was 25.4% or, if discouraged workers are included, the unemployment rate was closer to 34%. Labor-force participation rates have also remained low, the report said. After initially rising post-1994 and peaking at close to 60% in 2000, labor-force participation rates fell to an average of 57.4% in the pre-crisis years between 2000 and 2008. The global financial crisis resulted in the labor-force participation rate falling to 55% between 2009 and 2011, but it subsequently recovered to the 57% mark in recent years. Total employment also became more skills intensive. In 2000, across all sectors, there were about four unskilled/semi-skilled workers to every skilled worker; by 2014 there were just three. The the ratio of skilled to unskilled and semi-skilled workers rose by roughly 10 percentage points from 2000 to 2014, the report said. the first step in harnessing its favorable demographics, the report said.